I’m back with another France post. Like I mentioned in my last post, I am publishing my France trip series a little late since I got sick while I was on vacation. So, I am currently in Texas while writing this. However this post focuses on my days spent at the latter end of my trip. 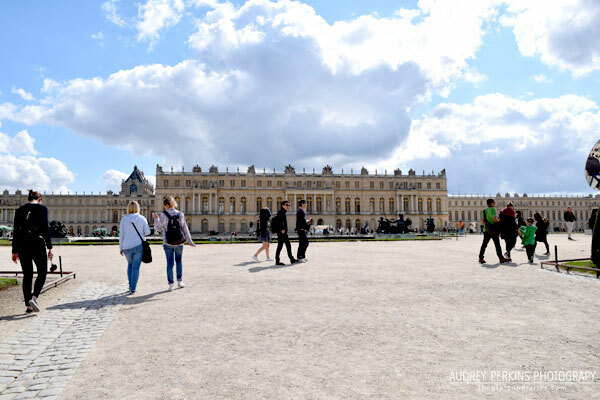 My friend and I centered ourselves around Paris and Versailles. Photographed above is Palais Royal. This was one of my favorite places to hang out when I studied abroad as my preferred study café was near there. However, this area is also a very popular location for photo shoots – in fact, if you look into the background of the photo, you will see the crew of a photoshoot taking a selfie. 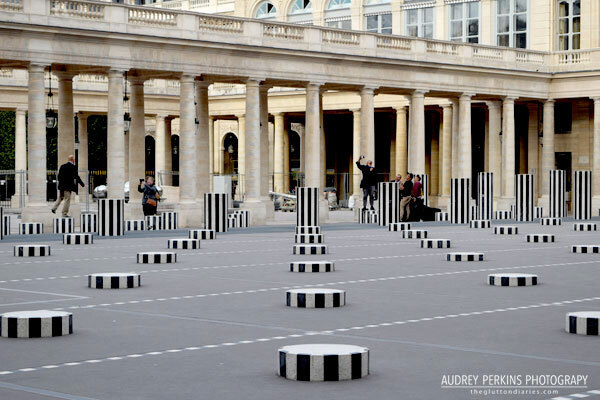 You can probably see the photographic appeal of Palais Royal, with all of the striped columns. If you ever visit, look for the railing in the ground. You can see it in the midground of the photo. If you look through the railing, you will see that the columns extend underground. There’s your fun fact for the day. 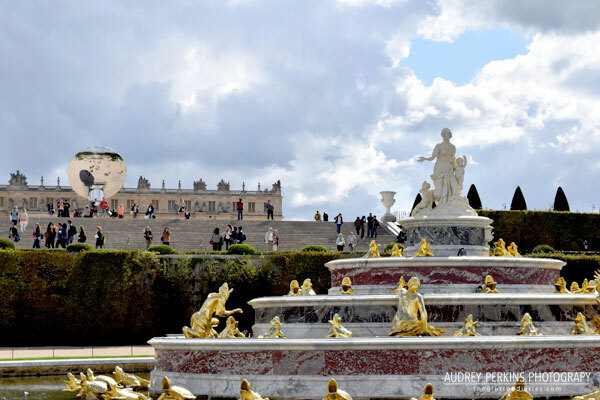 Of course, if you visit Paris, Versailles will be a tempting day break away from the city. It is a quick 20 minute ride away, not to mention that it is also a cheap trip. If you take the RER, one of Paris’ commuter trains, the round trip will only cost around 8 euro. Sasha and I have both already been here, so we decided to only come for the gardens as visiting the interior of the castle can take hours of waiting in line. Fortunately for us, the gardens were free that day. There was also an art exhibit taking place, which would explain the circular mirror in my second photo. *Also, one more fun fact, there was a bit of breaking news while I was abroad. It was announced that part of the palace grounds would be turned into a luxury hotel. So if you ever want to sleep like royalty, that’s now a possibility. What are your thoughts on that? For our remaining days in Paris, we spent most of our time wandering around the city. The main photo in the mosaic was a goat cheese salad I made for my friend. Since she is vegetarian, it was a bit hard to find food that she could eat in the city, so we spent a good amount of time eating in. With that being said, it was incredibly fun to cook over there and eat on my host parent’s terrace. Photographed is a goat cheese salad with strawberries and balsamic dressing. I also found a loaf of fig bread that we used to dip in the leftover dressing. 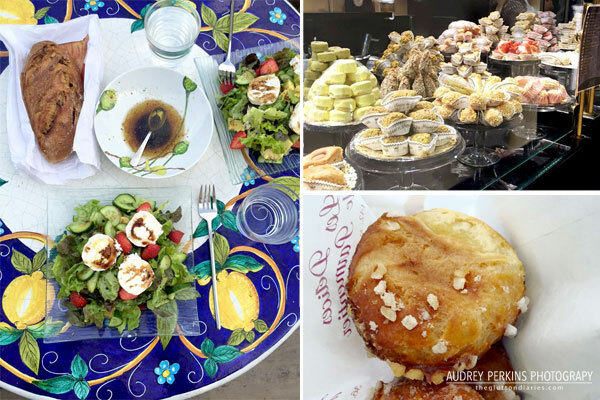 The photo at the top right corner shows one of my favorite foodie hot spots in Paris. When I was abroad, a friend of mine took me to this café and bakery as it was her favorite place to take a pause and have a coffee or tea. I have since adopted it as my favorite as well. It’s on Rue de Rivoli and sits almost a block or two from the Louvre. Why was it our favorite café in the city? Because it’ s cheap. Well, at least for the neighborhood it is in. You can stop in for a snack and mint tea for under 10 euro. The staff is also very friendly. Lastly, on my Instagram, you guys might have seen that I visited Père Lachaise cemetery and Parc Buttes Chaumont. The photo on the bottom left corner of the mosaic was my snack while wandering the park. Chouquettes are airy puffs of pastry topped with crunchy chunks of sugar. I will also be recreating this recipe in a future blog post – I just need to figure out how to get my hands on the sugar sprinkles as I have yet to find something similar in the US. Well, that’s it for my travel posts. I already have some recipes lined up for publication for you guys – one being a flakey chive pancake. However, I will announce that I will launch a series of French-inspired posts influenced by the foods I ate while on vacation. I did hint at it a little, but here is the official notice for it. Anticipate it!